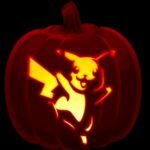 29 Free Pokemon Pumpkin Stencils with All of Your Favorite Characters! 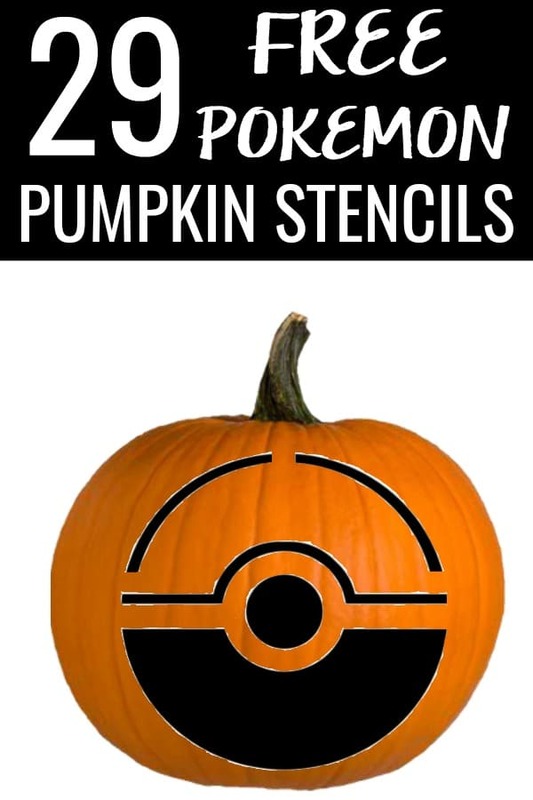 These 29 Free Pokemon Pumpkin Stencils are perfect for the Pokemon fan in your life! Use these free pumpkin carving patterns to create jack-o-lanterns with your favorite characters for Halloween! I don’t know about your kids, but mine are obsessed with all things Pokemon! Brady has gotten Pokemon books for her birthday and Christmas the last couple of years and she can’t put them down. Then came the Pokemon cards…so many cards. And when she found out about the Pokemon video series (free with your Amazon Prime membership), her obsession only grew. But when the Pokemon Go app came out and she got the Pokemon Nintendo games and Pikachu hoodie, she became a total fangirl showing her love of Pokemon at all times! Before you print out your stencils, you’re going to need a few items. By buying these items ahead of time, you’ll be ready to set out your jack-o-lanterns as soon as you’re done carving them! A ghost/poison Pokemon type, Gastly has no true form because its made of 95% poison gas. Gastly turns into a Haunter starting at level 25 of Pokemon. And Ghastly turns into Gengar when traded. With red eyes and spikes, you can be sure your Gengar pumpkin will look especially spooky for Halloween! Meowth is one of the normal type Pokemon and looks like a cat. This Pokemon character is attracted to shiny objects and is one of my girls’ favorites! Eevee is a normal Pokemon type that is constantly evolving. Jigglypuff is a combination type belonging to both normal and fairy Pokemon types. Charizard is another dual type Pokemon character and is a part of the fire and flying types. Zubat is also a dual type Pokemon and is both flying and poisonous. In case you need an explanation of this one, Pokemon Go is a mobile app that allows the real world to cross with the Pokemon world in an augmented reality. 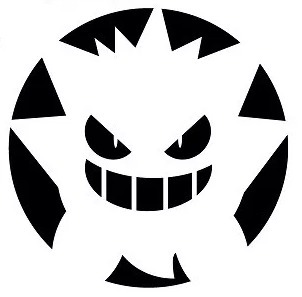 No one will have to question what this Pokemon pumpkin stencil is! Print Pokemon Go Pokeball here. Print Pokemon Go Team Valor Emblem here. Print Pokemon Go Team Instinct Emblem here. 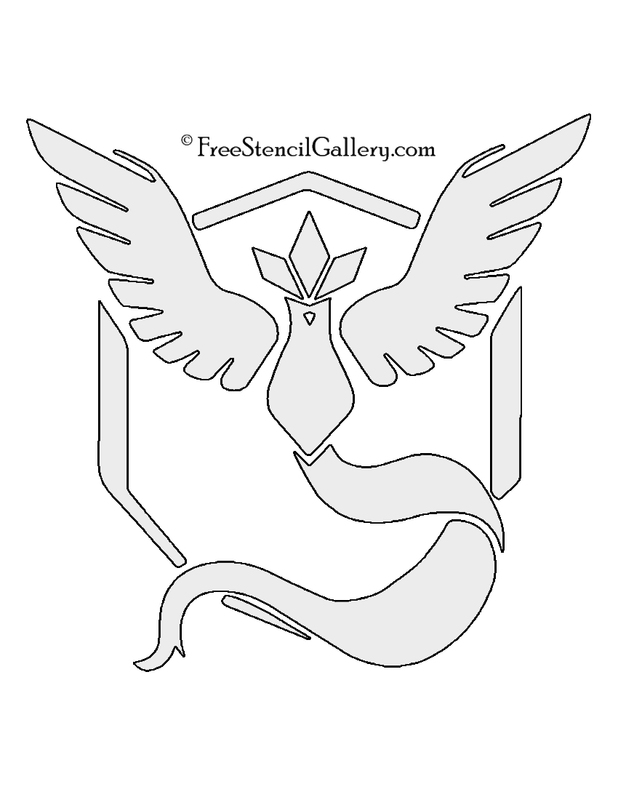 Print Pokemon Go Team Mystic Emblem here. Pokemon characters are divided into types based on their moves. There are 18 different types but only 11 symbols have free pumpkin patterns. 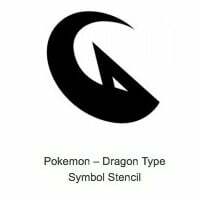 Print Pokemon Dragon Type Symbol here. 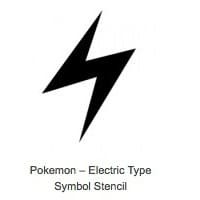 Print Pokemon Electric Type Symbol here. 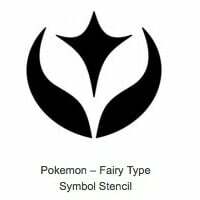 Printable Pokemon Fairy Type Symbol here. 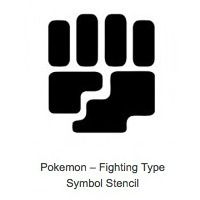 Print Pokemon Fighting Type Symbol here. 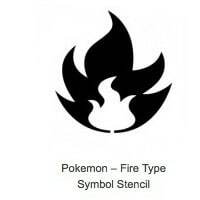 Print Pokemon Fire Type Symbol here. 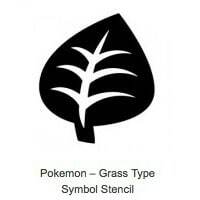 Print Pokemon Grass Type Symbol here. 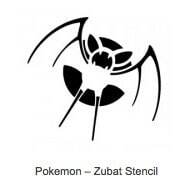 Print Pokemon Metal Type Symbol here. 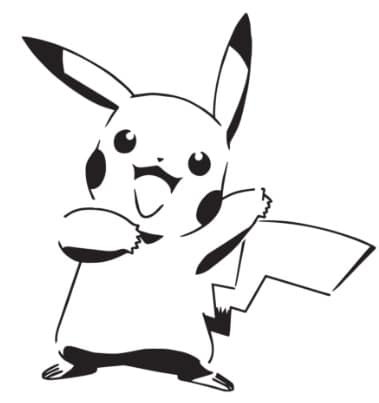 Print Pokemon Normal Type Symbol here. 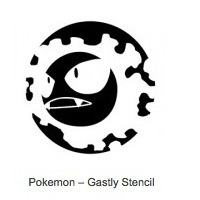 Printable Pokemon Psychic Type Symbol here. Print Pokemon Water Type Symbol here. 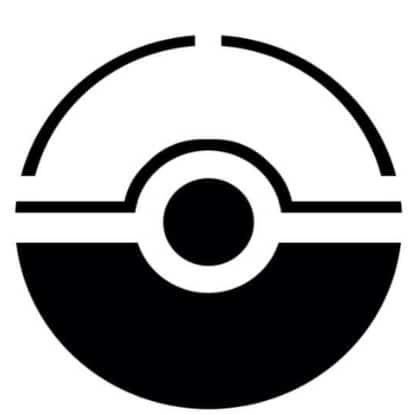 Print Pokemon Dark Type Symbol here. 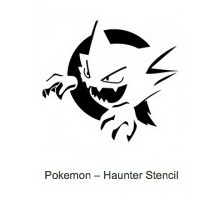 Which of these Pokemon pumpkin stencils is your favorite? Pin these 29 free pumpkin carving stencils for later!